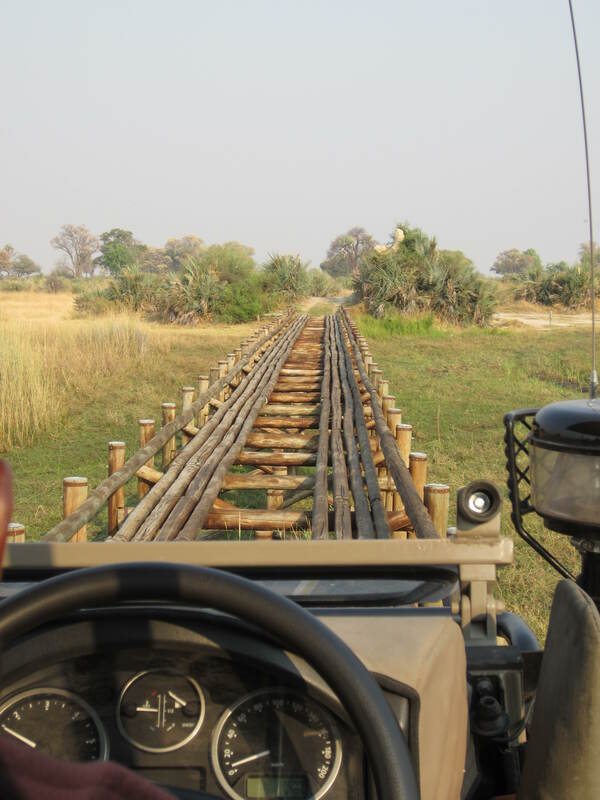 An African Safari – big cats, hippos, giraffes, elephants, zebras, and much more in a far away land in the wild – it had been in my heart to go. And what an absolutely amazing trip is was. I booked the 10-day trip through REI Adventures which uses Wilderness Safaris as its operator. This safari is not a cultural trip, so outside of the safari participants and the camp staff, you spend most of your time with your guide and the other visitors tracking animals. The maximum for this safari was 8 but we had only 3 on this trip. 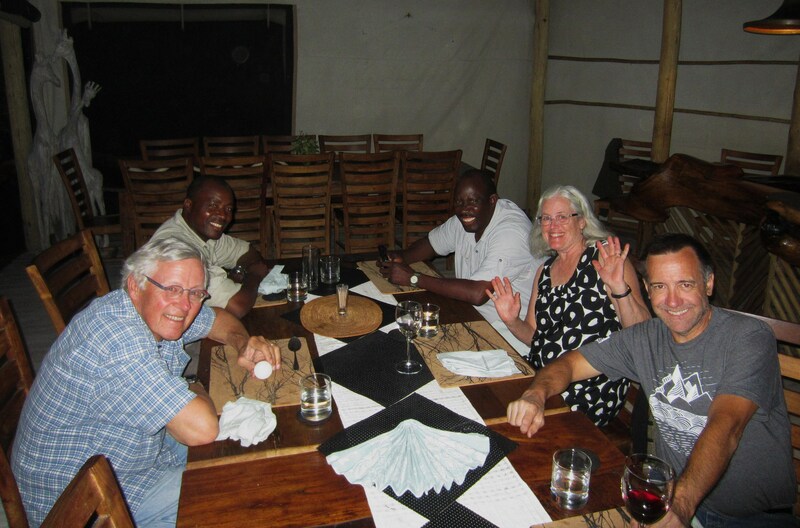 Our guide was an amazing person named Emmanuel Ndjoze from Kalkfontein in Western Botswana. He spent 8 years on the anti-poaching team of Botswana’s Department of Wildlife and Natural parks. He clearly understood animals and the wilderness, and he was fun and funny. The other two on the safari were Ike and Josie from the Pacific Northwest. They were cool, warm, fun, and interesting. I did not expect the camps to be so well-appointed as they were. The camps had a common area, guest tents, and a staff area. They are powered with solar and use a reverse-osmosis system for potable water. I never thought a tent could look so amazing and offer so many amenities and so much furniture. (Next time I go into the back country I really need to spruce up my Half Dome II). 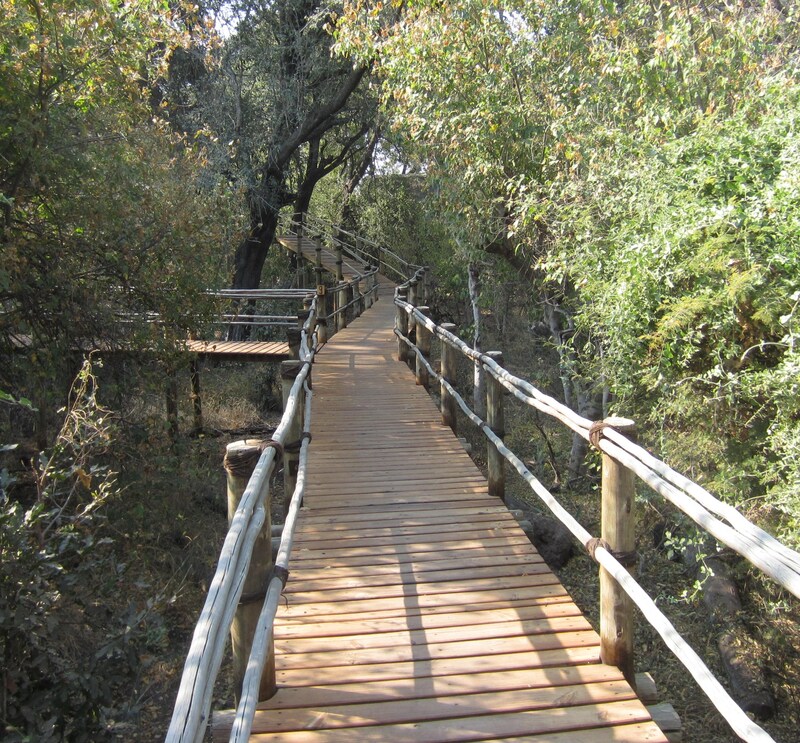 Toka Leya Camp – We were only 1 night at this wonderful camp on the mighty Zambezi River. Linyanti Discover Camp – beautiful camp sitting on the waterfront. 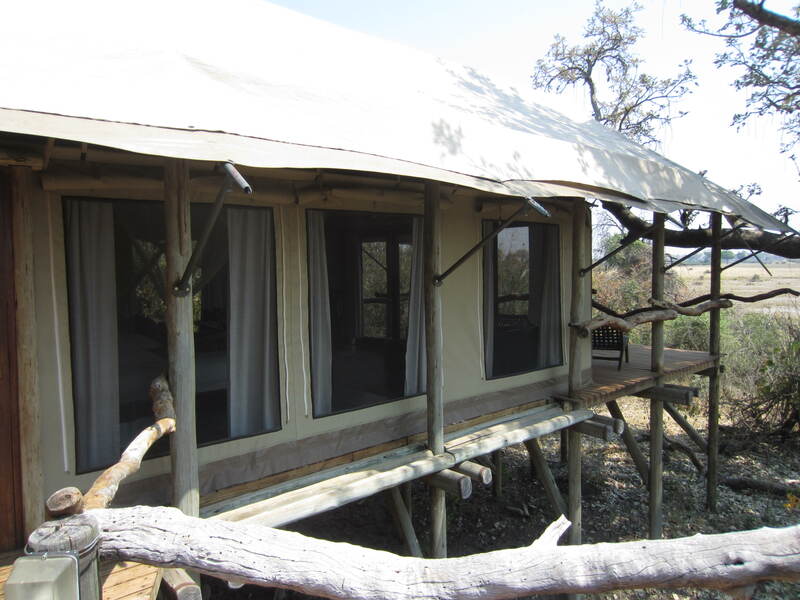 Gomoti Tented Camp – this was the most rustic camp at all, and the camp where the animals regularly came to visit including an “interesting” night of many wildlife visitors. 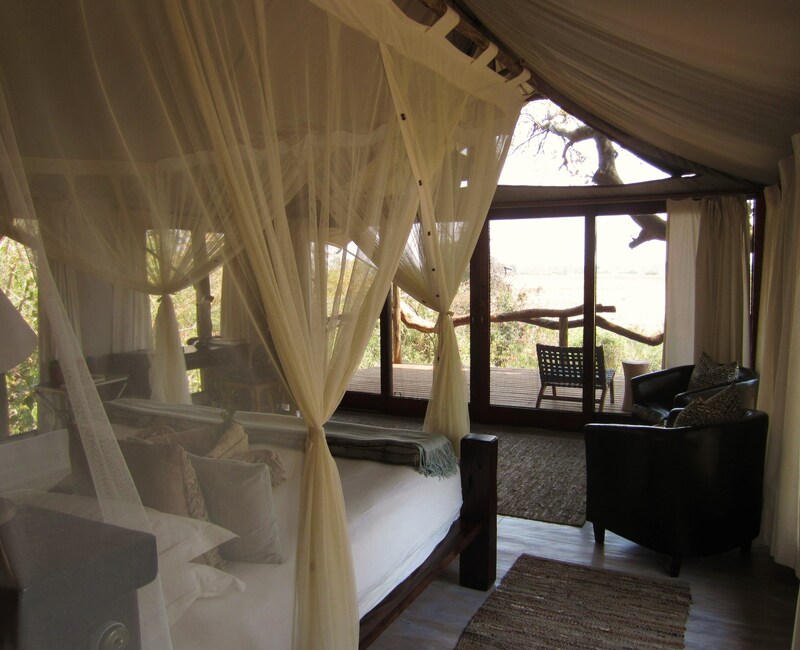 Tubu Tree Camp – a truly elegant camp. We shared the camp with an wonderful group from Nature Conservancy. The camp is elevated on boardwalks. 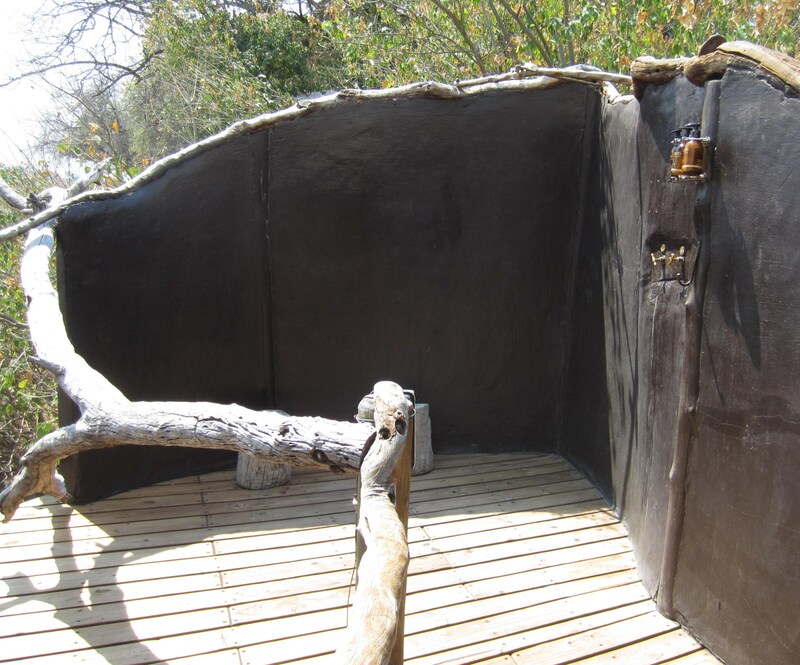 The outdoor showers faced the savanna. I had an old monkey that watched my every move. 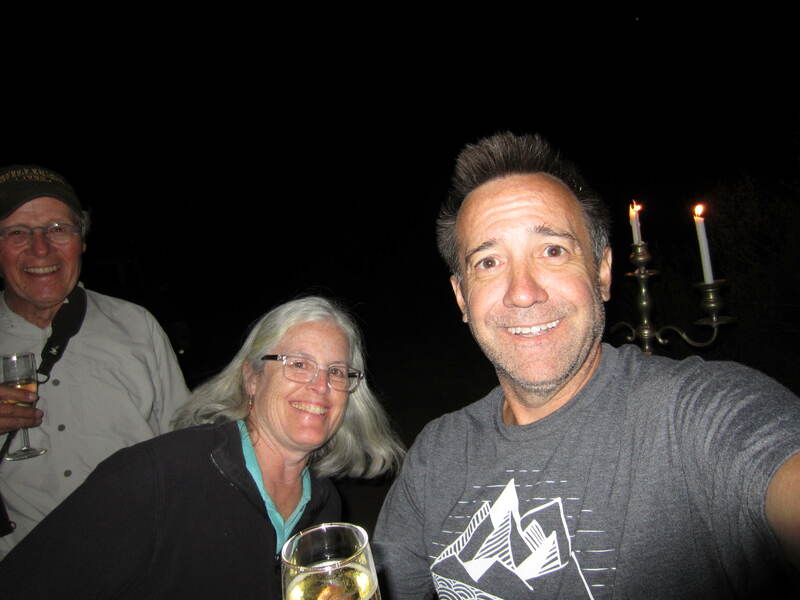 One evening as we were coming back to camp the camp staff greeted us a with a surprise champagne toast. Wonderful. See my friend in the tree? The food was consistently excellent, fresh, and healthy. We had breakfast, lunch, tea, and supper every night, and there were often snacks and drinks available on breaks on the safari drives. A sampling is pictured below. We went camp to camp by small planes operated by Wilderness Air. Such the way to move. Interesting airstrip sign. I got to sit in the copilot seat once. The pilot was very clear. “Please do not touch anything.” The view was amazing. I highly recommend an African safari. If you make the great decision to go, I recommend a few things. First, decide your purpose, what you want to see, level of “comfort”, price, etc ahead of time and do your homework. I chose REI based on reputation, my retail experience with them, and most importantly that they used Wilderness Safaris as their operator. It is so important to see if your safari is a sub-out and most importantly who the actual operator is. Wilderness Safaris proved up to its reputation as among the best out there. They operate their own concessions, sponsor research, have highly experienced guides, and a great safety record. Granted they were among the higher priced safaris but bottom line it was worth the money and they exceeded my expectations. 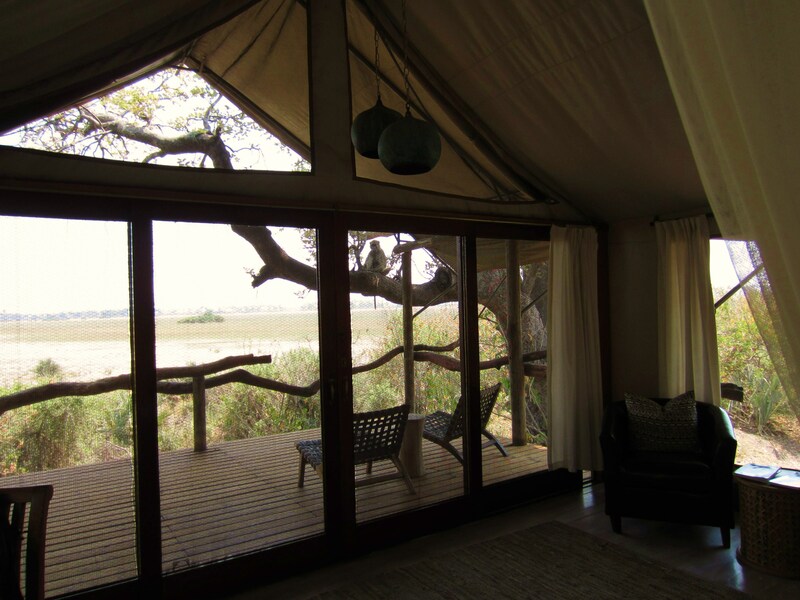 Consider also the level of accommodation – when not on safari (which is usually morning and evening) you are in camp or in your tent/cabin (believe me, not wandering and exploring around on your own in the heat of the midday), so a nicer camp may matter. Finally getting from camp to camp. The two primary options are driving or small aircraft. Small aircraft maximizes safari time and offers a really cool perspective. If you go I recommend arriving a few days early. I went over to Africa with 3 days of free time to get used to the time zone, explore on my own, and just hang out. Plus no stress on being delayed and missing the safari.